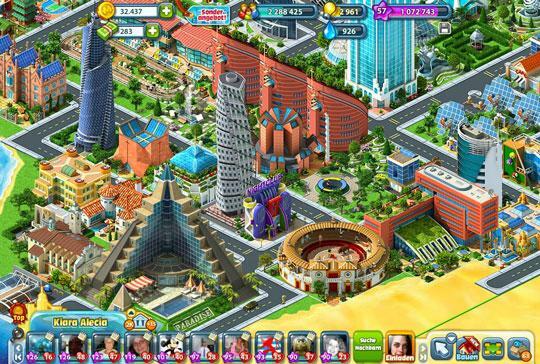 Follow Your Favorite Simulation Games on Gamescoops - Virtual Games Online - Virtual Worlds Land! Keep tabs on updates, news and freebies of your favorite simulation games on Gamescoops! Gamescoops offer you a convenient way to follow all the updates, news and freebies of your favorite simulation games by pulling all manner of related information about these games to a single website. You no longer need to check through a myriad of social media sites, forums or webpages just to find the latest news for the games you love. Interested? Well, some of these simulation games include popular farm simulation games like Big Farm and Farmandia; city-building games such as Rising Cities and Skyrama; zoo simulation games, for example, My Free Zoo and Zoo Mumba, as well as simulation games where you can become a business tycoon in charge of various enterprises including a tropical resort in My Sunny Resort, a theme park in My Fantastic Park, and even your very own creepy little dungeon in Undermaster. The games listed are merely the tip of the iceberg though, and with more games being added to Gamescoops every day, you'll definitely be able to find the game and its related news and updates that you need on the website. You can also refer to the complete list of Simulation games you can follow on Gamescoops. Gamescoops is most certainly your best resource to check up on any news and updates for any games that you play. Although it is currently still in its beta phase, what you can already find on the website is simply astounding and, with the current pace it is growing at, Gamescoops just may turn into the only gaming-related source you'll ever need!